Summary of " A Small Place ". " A Small Place " was written by Jamaica Kincaid. " A Small Place " is about the island of Antigua. Antigua is a poor country where tourists come from rich countries to visit. The tourists' perception of Antigua differs from those of native Antiguans. Similarly what tourists think of themselves is different from the way local people view them. 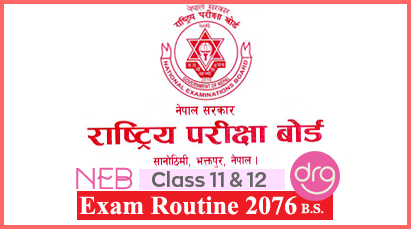 There is great corruption in Antigua and this essay attacks on the corruption, very poor condition of school and inadequately ( अपर्याप्त रुपमा ) staffed hospitals. In Antigua, tourists see the clean airport which is named after the Prime Minister. The beautiful island Antigua is not too green and too lush ( घना हरियाली ) with plants. It is suitable place for tourists. Outside the airport brand-new Japanese cars are available. The road to the hotel is very bad and taxi drivers drive dangerously. They live in small houses but they have very expensive Japanese cars. This is because the Japanese banks will lend them money to buy cars. They use leaded petrol although the engines were made for non-leaded petrol. They have never heard about non-leaded petrol. The condition of school is very poor there and the Antiguans do not trust the doctors. When the Prime Minister is ill, he goes to New York because the local hospitals are very bad. In 1974 the library was destroyed by an earthquake. So one can not borrow books. It has never been repaired. Antigua was under British empire ( साम्राज्य ) and the British people used Antiguans as slave. Now rich foreigners and drug owners own most of Antigua. The tourists can see the sea and ocean through the windows of the hotel rooms in which water looks blue. Both beautiful and ugly people are seen walking along the road. There is no proper sewage disposal system in the sea. Therefore, it is very polluted. The food the tourists have there is brought in from other places. A tourist is not a good person for Antiguans. They travel because they want to get away from their own country. A tourist is a whole person in his home among his relatives but outside he is alone in the crowd because he goes unloved and unnoticed. Antiguans are poor and they do not have enough money to travel. They were ordinary clothes and live in harmony with nature. They hate tourist. The tourists came to the place that the Antiguans want to get away from. 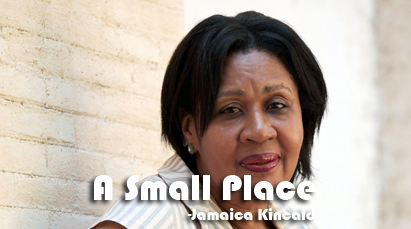 Jamaica Kincaid "A Small Place"
Summary Of "A Small Place"
0 Response to "A Small Place | Summary | Class 11"